By recirculating light in a nonlinear propagation medium, the nonlinear optical cavity allows for countless options of light transformation and manipulation. In passive media, optical bistability and frequency conversion are central figures. In active media, laser light can be generated with versatile underlying dynamics. Emphasizing on ultrafast dynamics, the vital arena for the information technology, the soliton is a common conceptual keyword, thriving into its modern developments with the closely related denominations of dissipative solitons and cavity solitons. 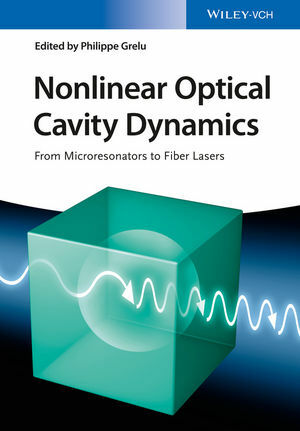 Recent technological breakthroughs in optical cavities, from micro-resonators to ultra-long fiber cavities, have entitled the exploration of nonlinear optical dynamics over unprecedented spatial and temporal orders of magnitude. By gathering key contributions by renowned experts, this book aims at bridging the gap between recent research topics with a view to foster cross-fertilization between research areas and stimulating creative optical engineering design. Philippe Grelu has been Professor of Physics at Université de Bourgogne, in Dijon, France, since 2005. After receiving his PhD at University of Orsay (Paris XI) in quantum optics (1996), his interest moved to ultrafast nonlinear optics and mode-locked fiber lasers. His research includes spatio-temporal soliton dynamics and nonlinear microfiber optics. He developed a key expertise in nonlinear optical cavity dynamics, with major contributions in the fast developing field of dissipative solitons. He has delivered numerous invited talks at international conferences and has authored over 150 scientific publications.